Getting your car into and out of tight parking spots is a problem that drivers have been dealing with since the very first generation of cars hit the road. Almost immediately after that, some wise soul had the idea to add a fifth wheel that lowers down to the street to swing a car’s back end out of parking spots. Although it was a brilliant concept, it never quite caught on in the mass market. 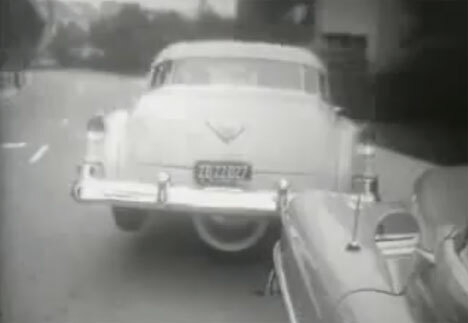 This newsreel from the 1950s shows the original device patented by one Irvin Carpenter. The video shows in detail just how useful a fifth wheel could be for people looking to drive into and out of otherwise-inaccessible spaces. This video from Egypt shows that the concept is still alive and well today. The modern car was modified by its owner with a fifth wheel that works in almost exactly the same way as Carpenter’s original. Short of hovering cars, this seems like one of the best ideas for making urban driving just a little less stressful. See more in Vintage Videos or under Vintage & Retro. March, 2011.